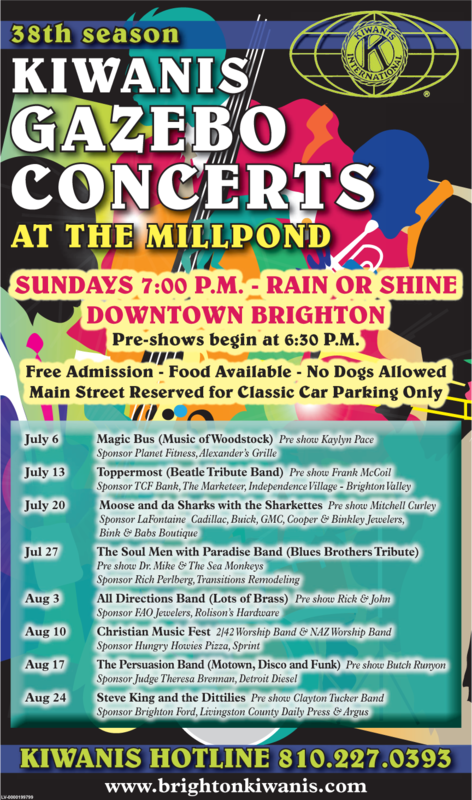 The Brighton Kiwanis is please to announce their 38th season of free music concerts in Downtown Brighton at the Mill Pond Gazebo. The concerts start at 7 PM with pre-shows starting at 6:30 PM unless noted. 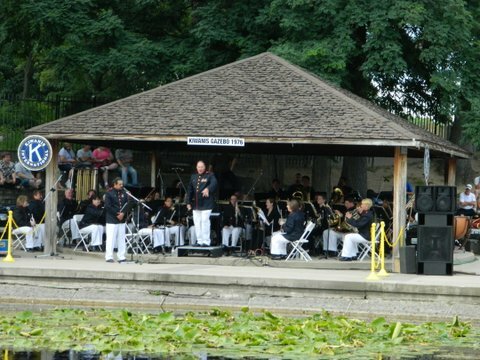 Tags: free concert, Gazebo, Mill Pond. Bookmark the permalink.